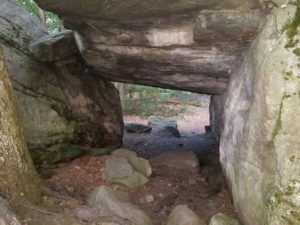 Beartown Rocks is a cool place to visit while in our area. Not only is it a beautiful place, but the drive to get there is also very pretty. 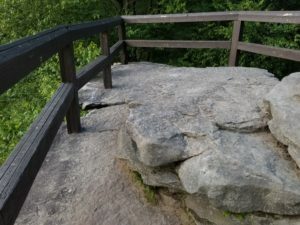 The Overlook is an easy climb (my 77 year old mother did it with minimal assistance), and your reward at the top is a spectacular view. 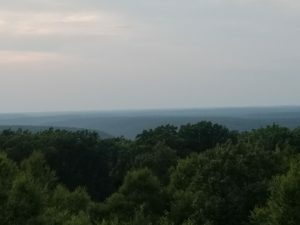 You can literally see for miles and miles! 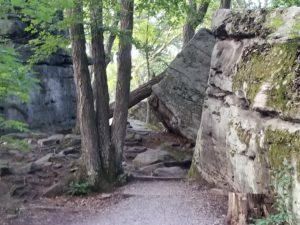 There are also beautiful hiking trails from the parking area. 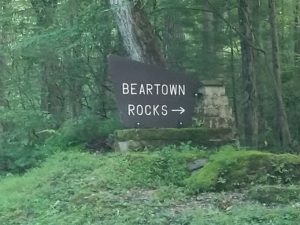 PLEASE NOTE: Beartown Rocks has recently been closed to rock climbing and “bouldering,”due to several severe accidents. Turn right out of the campground, and drive 13.6 miles to Belltown. You will pass Gregg Road on your right (don’t take it), and another road that goes to the left that says Halton and Ridgway (don’t take that one either). Follow the sign to Belltown. Cross the Belltown Bridge, and turn right on Route 949 after you cross the bridge. 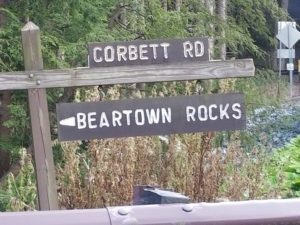 Drive 3.7 miles and turn left on Corbett Road. 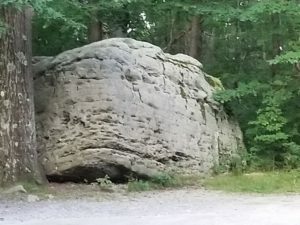 This is just past the sign on the left that says DCNR Forestry on the left. 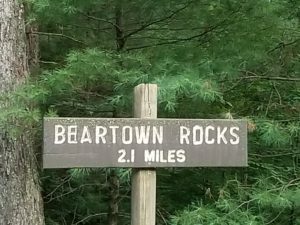 Follow the signs to Beartown Rocks, and enjoy the view!